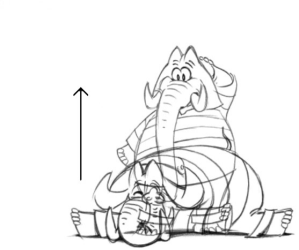 Now, let's study a new example :in our animation, the elephant falls from the top of the screen, then gets up, and finally leaves the screen by walking to the left. We can already and easily distinguish four key images from which the inbetweens will be drawn. Choose Insert or Duplicate images. * Once you get four empty instances on the Timeline, you can draw the four key images in each instance. * Just after this operation, you can adjust the timing by choosing the appropriate number of exposure cells in each instance. If you need a quick preview of the animation when drawing, it is advised to use the keyboard [Espace]. * Now we can break, move and resize again the existing instances in order to draw the second series of inbetweens. Below, you will find the beginning of the resulting Timeline. 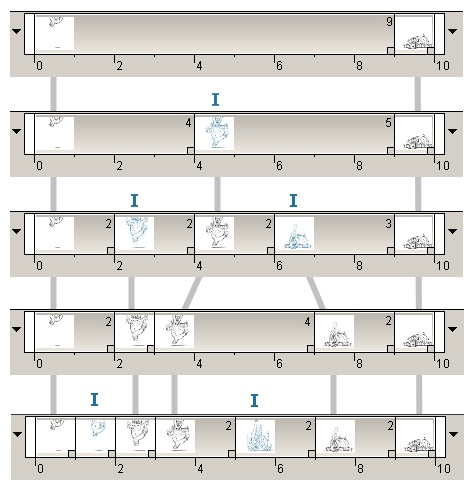 At any moment of this process, you can, by only a few mouse clicks, change the number of cells of your instances, and then improve the whole timing of the animation. * Continue the process by breaking again the existing instances and by adding inbetweens. 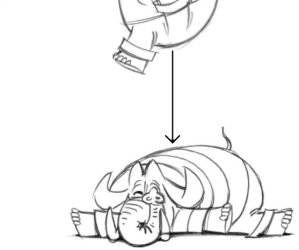 Stop it once you are satisfied with your animation. The blue « I » below shows where the last instance was broken (ie : split) into two instances. 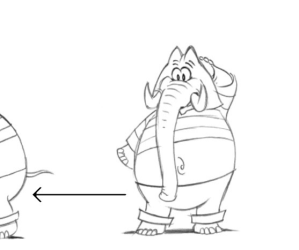 Here are the two key images, at the ends of the animation. A first instance is created in the middle of the Layer, then two new instances are created for the inbetweens, the instances are then moved and resized, and two last instances are created for the last inbetweens.